KOF has been my long time favorite fighting franchise since 1994. I remember going to the Tilt Arcade in the local mall during summer break with a zip-lock bag full of quarters, looking for the best fighting games. It never took long to figure out which game at the time was most popular because it would always be the venue with the most people around it. Street Fighter was also very popular in that time but there was a distinct difference I noticed when watching and playing against the people of Street Fighter. That difference was not only attributed to the slightly different game play mechanics of KOF, but speed, timing and the biggest factor of all, “combos”. I realized that if I wanted to be better at Street Fighter, then I needed to be able to be competitive at KOF first. Every person that played with great skill at KOF usually had the advantage when crossing over to play even the best at Street Fighter in that day. Mastering the KOF combo chains with each character is the hardest but most rewarding thing to accomplish; its not all about super gauges, spamming fireballs and super moves. Its about calculating the risks of reward and picking your opponents apart with brutal and precise combo techniques. 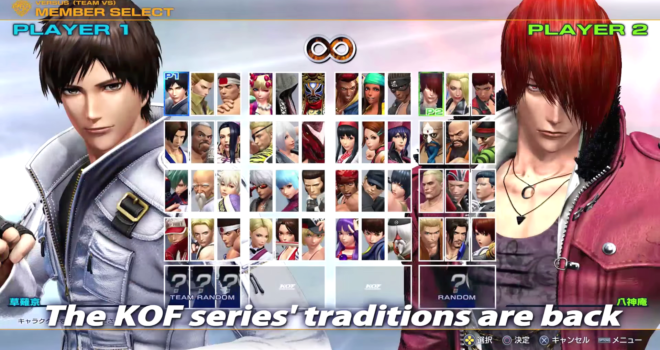 The King of Fighters XIV is releasing August 23, 2016 and is already available exclusively on the PlayStation 4 console. If you pre-order now you will get a chance to own Nightmare Geese, who looks absolutely amazing in the trailer below. Its a shame that they didn’t give us an evil/nightmare Rugal, but then again it may be too earlier to speculate. My name is Alyssa and I work for Media Top online media agency. I am writing to enquire if you would be interested in writing a blog post or article for us on your website. I sent you an email regarding this matter, thank you for stopping by.